Fit Fluential Mom: Milestones & Household Items To Help Your Child Achieve Them! Milestones & Household Items To Help Your Child Achieve Them! Are you wondering if your little one has reached some of the more typical milestones of toddlerhood? Do you want to help your child reach his or her reach important points in development? See if your little one can do the following and, if not, use some of the household items below to help him do so! Parents place a lot of importance on milestones specific to the development of a baby. Many times, parents will compare their child to others around the same age. The fact is that children grow and progress at different rates. One child may sit up at 4 months while another many not do so until 6 or 7 months old. Some children walk as early as 9 months old while others don't take their first steps until they're a year and a half. 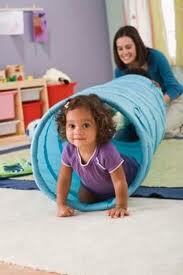 Although milestones vary greatly from child to child, parents do play a part in helping their child reach milestones. Parents should work with their child from very early on by encouraging tummy time, sitting up, rolling over, taking steps and more. Are you wondering if your little one has reached some of the more typical milestones of toddlerhood? Do you want to help him or her reach important points in development Do so by helping build fine and gross motor skills and do it with items in your own home. Not sure if or what you need to work on? See if your little one can do the following and, if not, use some of the household items below to help him do so! Is your little one not quite there yet or do you want to help him or her meet developmental milestones? Use these household items for help! Balloons: These are great for visual tracking, throwing and catching! Throw them up in the air and have your little one catch it. It falls slowly so you'll be able to help him or her practice reaction time. Throw it at your toddler and have him duck to avoid it! Test how fast his reaction time is and, the best part is, it won't hurt if it hits him!. Paper Towel Rolls: When they're empty, fill them up with rice, cover each end and wrap it up in tape. Then use it as a shaker and make music with your little one. Have him mimic the sounds you make and follow a beat! Hula Hoops: Your little one might be too small to hula hoop with it but she can still jump through it, in and out of it, push it or pull it around. Sprinklers: Not everyone can have a pool in the backyard. When it's hot, you don't need a pool. Use the sprinklers in your front or back yard for some summer fun. Jump in and out of the water, try to jump away from the sprinkler or bring out a slip n' slide near it. Pots & pans: Most kitchens have stacks of pots and pans that fit together, one on top of the other, from smalllest to biggest. Separate all of the pots in the pile and have your little one try and put them back in the order they belong in! Fruit Loops or other Colored Cereal: Of course it's a food that is eaten for breakfast or a snack but, before eating it, learn something with it! Have your little one separate the different colors and name them for you each day before breakfast. In no time, he'll know the basic red, green, yellow and orange colors! Paper: Have paper that needs to be shredded before being thrown out? Have your little one rip it up for you! The dexterity needed to tear pieces of paper helps them refine their fine motor skills! Glasses: Even if you no longer use them to drink out of, save those kids' cups you get at restaurants. Place it on the table or on the floor and have your little one practice making it in the cup. Throw a plastic ball, coins, pieces of macaroni or any other object. Chalk: Take it outside and start writing! Practice letters, numbers, shapes & more. When you're done, leave it out there and let the rain or the sprinklers wash it away! Better yet, draw a hopscotch and start jumping! Rope: Use it to jump rope as usual, play tug or war or as a line marker on the ground for a race! I am following you from MBC. Check out my blog and follow back when you get a chance. Love, love, love it! Following you through MBC! Follow at your convenience. Great info!! So far Alex is spot on or ahead developmentally!! Stopping in from MBC. Thanks for sharing! Great info. Following you from MBC.